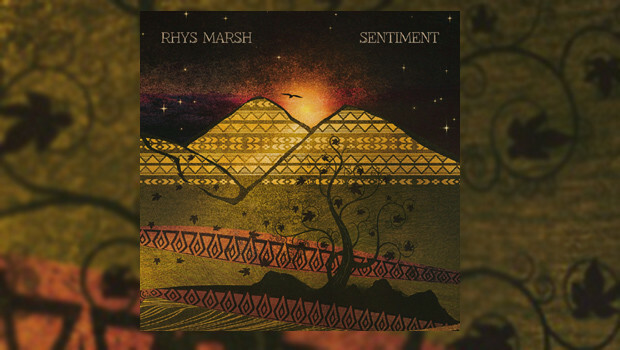 I’m listening to Sentiment by Rhys Marsh. I’m mindful that some people will already be familiar with his work but I was not. Did you read my Mandala review? Perhaps that’s where you’ve heard of Rhys Marsh before. This is only the second time I’ve come across music featuring his talents. And what a busy chap he’s been! 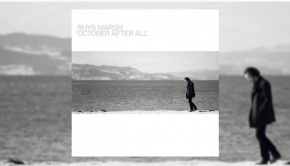 Rhys was also a member of Rhys Marsh And The Autumn Ghost and they have quite the back catalogue. Right here I’m declaring this album one of my favourite discoveries of 2015 even though it was released on 10th November, 2014. Better late than never. 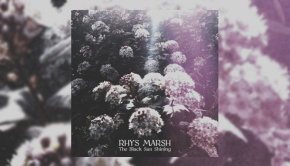 Despite my only recently became aware of Rhys Marsh, this album deserves to be heard. One of the hurdles I think solo artists face, particularly when producing an album where you play all the instruments, is how to avoid making the tracks sound alike. It must be tempting to find a suite of sounds that you like and use them on every track. For a band made up of different personalities this can be avoided if the writing and arranging is shared equally but Rhys didn’t have the benefit or burden of collaborators with this solo venture. 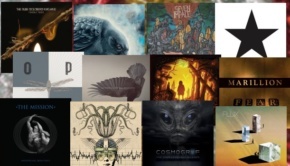 Despite or perhaps due to this there’s enough variety in this album for me. All too often, though, we hear bands that evidently have a dominant writer and it is a fine line between there being a distinctive signature sound and sounding “samey”. That’s why I will dismiss any criticism based on that premise because, to me, it seems Rhys hasn’t stuck to any one palate of instruments or to any one formulaic musical style and no one sound seems to take precedence. The one common thread is Rhys’s distinctive voice and I see this as the binding agent that gives the album cohesion. That Rhys played all the instruments on this album makes it all the more remarkable that he has managed to make this sound like a complete band. The variety of styles makes for an interesting and engaging experience. For example, the structure of Calling in the Night is like a chain, each link joined and yet not joined… on first listening nothing seems to be on the first beat of the bar and it trips you up. On successive listenings it all falls into place which means that this is a song album that grows on you as your understanding of the song grows. Rhys’s distinctive crooning is in stark contrast to the heaviness of the driving, iron-hard guitar and bass and dissonant keyboard. When the acoustic introduction to Pictures Of Ashes gives way to an orchestral main course, hugely reminiscent of early 1970s progressive rock, you might think Rhys has found a good formula to use for the other songs. No. He avoids that old trap. Although there is an atmosphere of melancholy running through the album, there are uplifting musical patches like the middle section of In The Sand, musically if not lyrically. In contrast to some of the harder edged songs, Last November begins with a laid back vibe with muted electronic percussion giving an accent to the verse. Every musician has influences and one cannot doubt that Rhys has his too. There are subtle reminders of other musical genres throughout and he has marshalled these influences into a tool for fresh creativity. This isn’t a clichéd prog album. I’ve heard other reviewers say this of some bands and found this encouraging but then been disappointed when I’ve heard the music. Not in this case. In Burn The Brightest Day there’s the stabbing, jilted echoes of a Magazine-like song merging into the subtly dropped-back string sounds associated with prog rock. Variety abounds and it is unpredictable. Keep your eye out for Rhys Marsh. I’m now going to search out his other stuff because I have a feeling I won’t be disappointed. I’m privileged to have come across artists once in a while that grab my attention and make me want to hear more. The good thing is that even though I’m late to discovering him, it just means there’s already a significant body of work to listen to with none of the waiting around for the next release. That should keep me going until he does something else. There have been landmark personal discoveries for me. In the 90s it was Trent Reznor and on the 00s, Steven Wilson. I’m starting to think that Rhys is one of these artists.